The aluminum foil tray which made of aluminum foil can be processed into various shapes, and are widely used in the fields of bakery, aviation catering, takeout, cooked food, instant noodles, convenient lunch boxes and other food packaging. The appearance of aluminum tray is crisp, it has good thermal conductivity, can use the oven, microwave oven, steam and other kitchen utensils for direct heating with the original packaging. At the same time, it is convenient, safe, sanitation, no smell, no leakage. Aluminum foil product can be recycle used to avoid waste of resources and protect the environment. Aluminum foil tray has following features: 1, all kinds of specifications, can be customized according to customer demand. The size and depth can be choose-able to meet different requirements. 2, safety and health, through high temperature sterilization. As it should be contact with the food directly, so the safety is very important, aluminum foil tray is absolutely no harm to human body, we can use it at ease. 3, high-quality and beautiful appearance, light weight. With bright appearance, it is easy to decorate the food. What’s more, it is easy to store and carry. 4, green environmental protection and recyclable, as well as other aluminum products, aluminum foil can be used recycle. 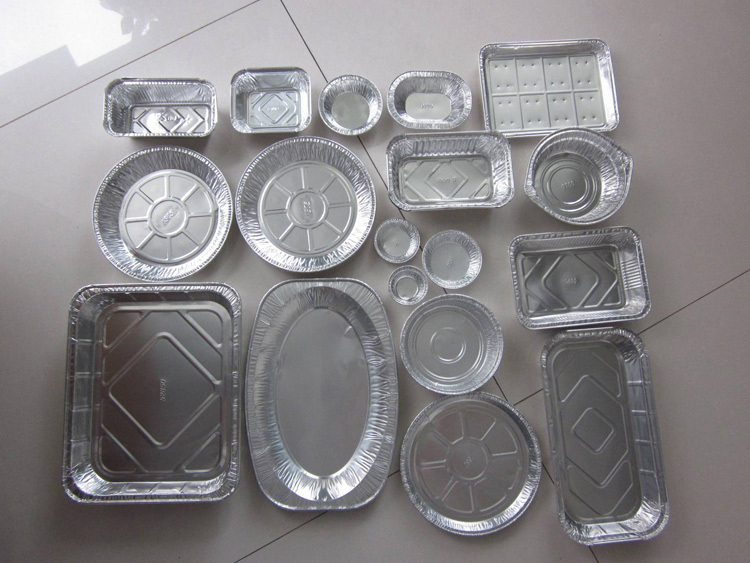 5, aluminum foil try can be directly used for storage, packing, barbecue / baking, forming, heating and even freezing.